need.so 90dB means minimam sensibity of speaker driver. 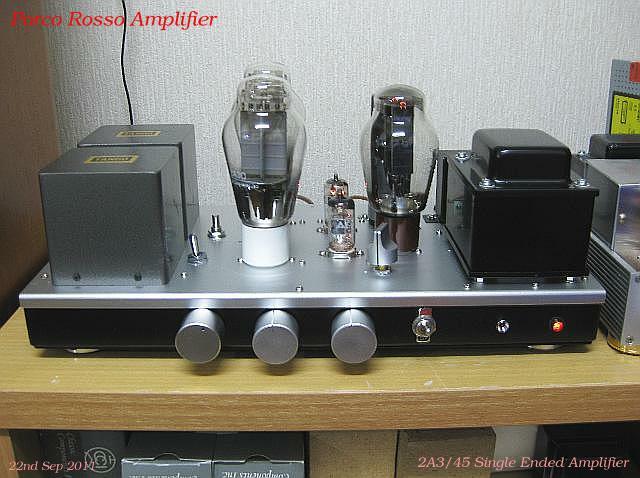 2A3's nominal power are 3.5W rms. 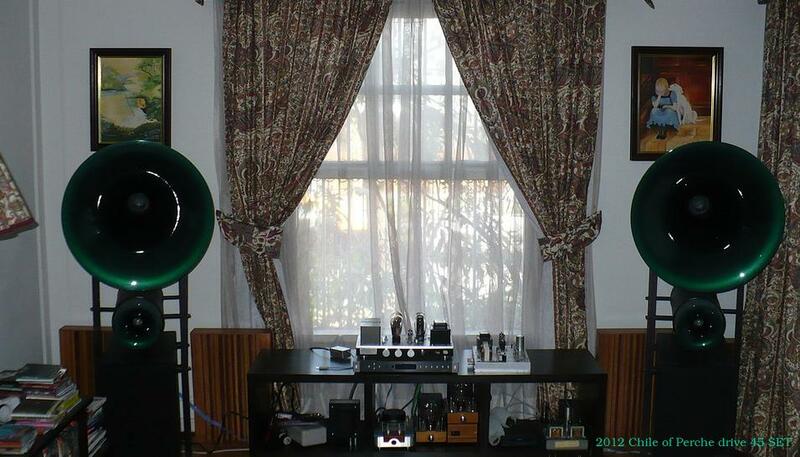 but recently new type of 2A3 are not 3.5W rms power.Nominal power is 4.5 W and more power get. 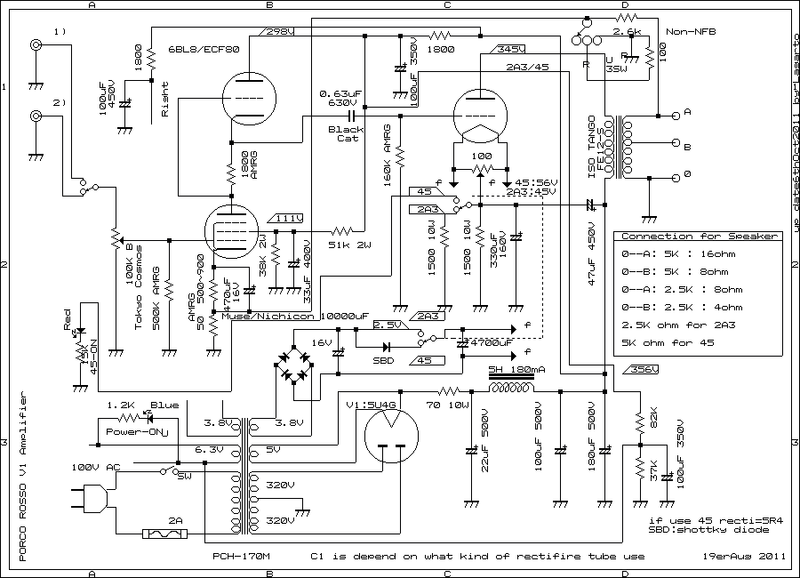 some technic can do solution more than 4.5W rms,probably will be get 6-7 W rms Power. and this time is same circuit and same combination of physical parts using. 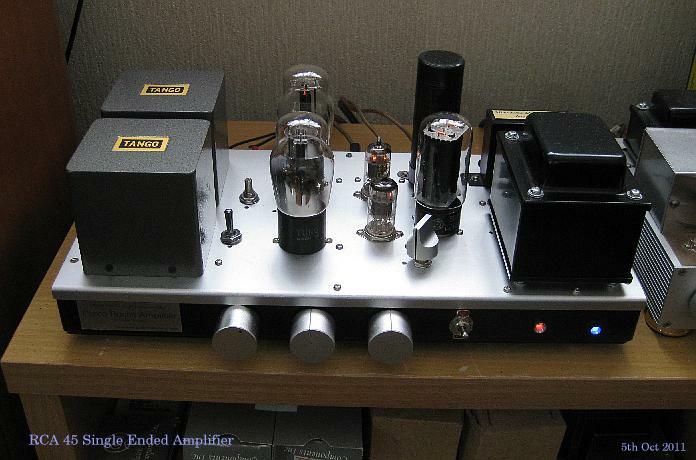 good audio transformer.ISO Tango are good frequency resonse. 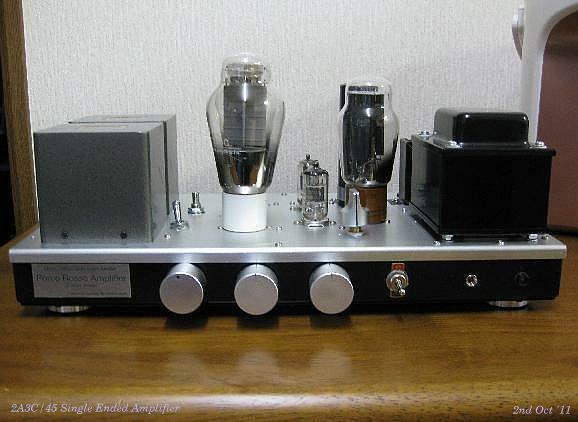 Just remake of perche drive 2A3/45 single ended amplifier. 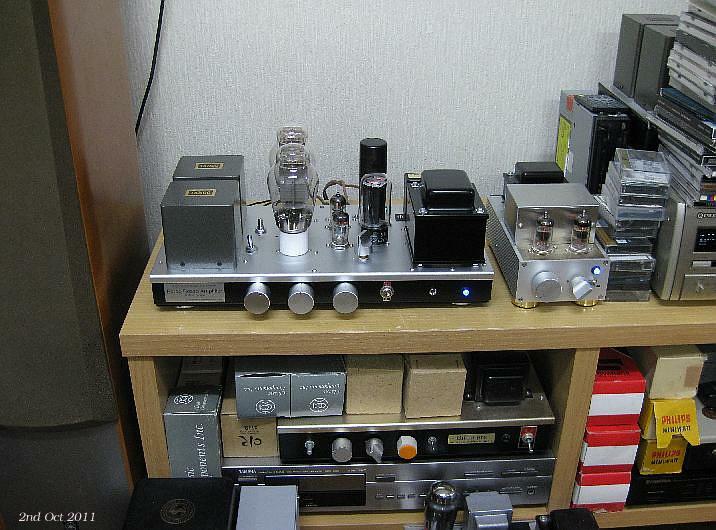 ended amplifier.SRDSL-9HS(Silver) is real name of chassis by Takachi box Japan. size is 205mm x 45mm x 400mm. 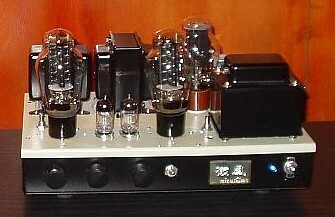 Audio Transformer are 2 of FE-12S ISO Tango. 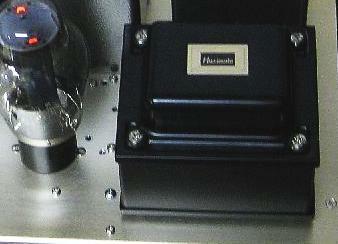 2 line of high input impedance.can be use both of 45 and 2A3. 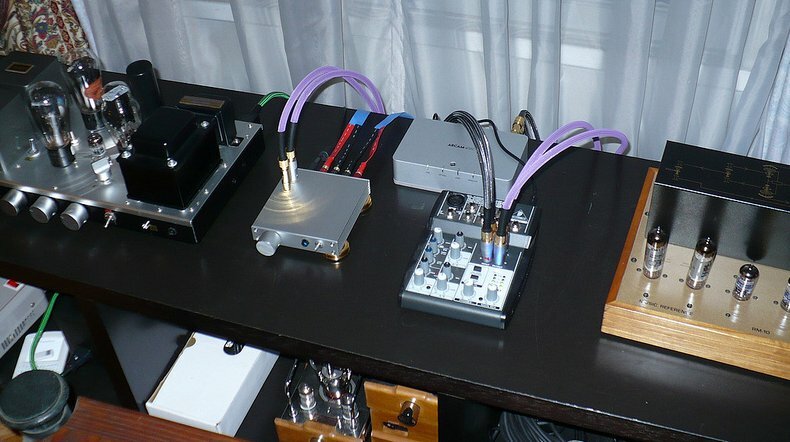 Sovtek 2A3,EH 2A3 and China NGG 2A3C and 2A3B. Power Transformer is Noguchi Transformer Japan PMC-170M. 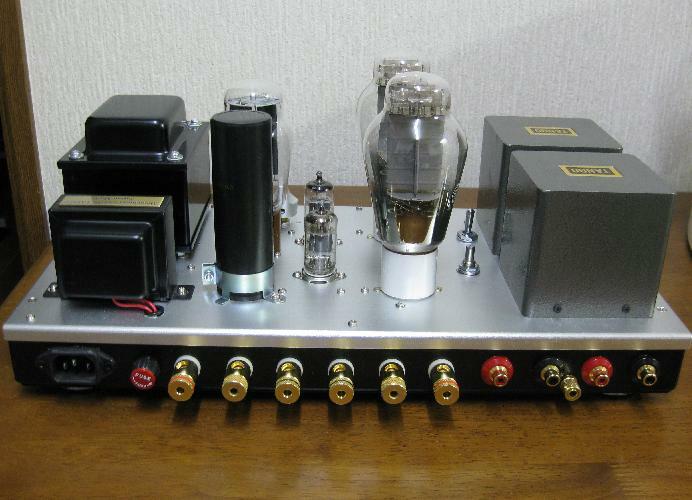 special for 2A3 single ended Amplifier.can use only 100V AC 50Hz. 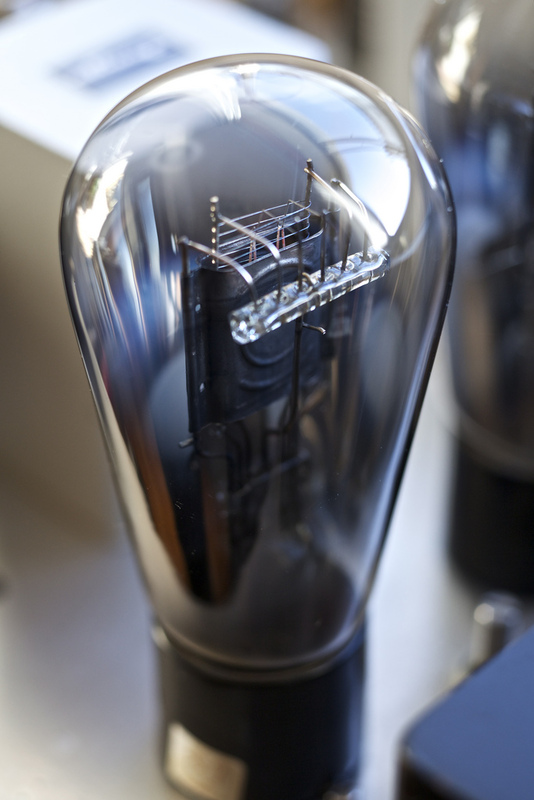 Chork Transformer is Noguchi Transformer PMC-518(5H 180mA). low distortion non inductive carbon resistance.large type resistance are Kiwame. 2 of Cornell Dubilier Black Cat. Black Cat has good response from low to high. 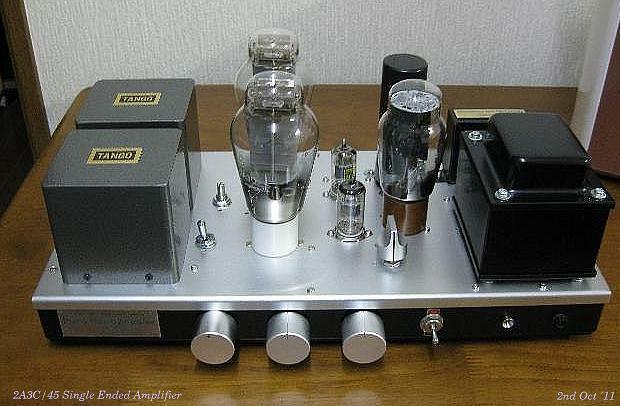 super good capacitor from USA.block condensor is UNICON for Audio use. 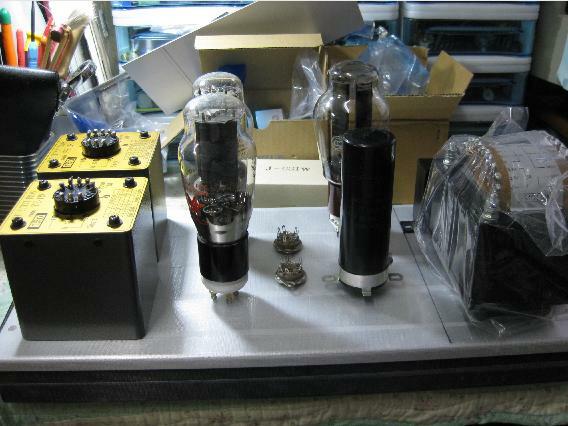 Cathode resistance are Kiwame(5W) and Dale(10W) non inductive resisistance. >Power transformer is PMC170M Noguchi Transformer but not avarable in over sea. 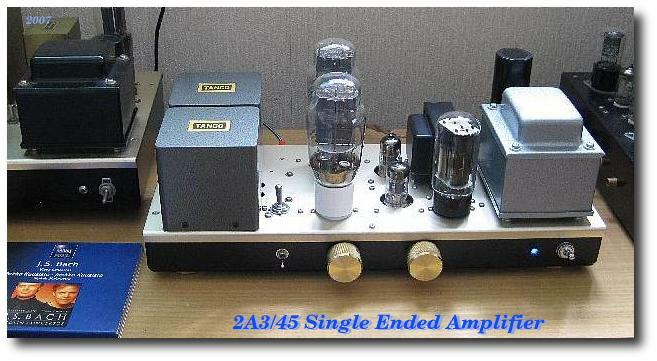 any my single ended 2A3 and 300B amplifier using PMC170M for power supply. for me.power getting more than 6 W rms easily. 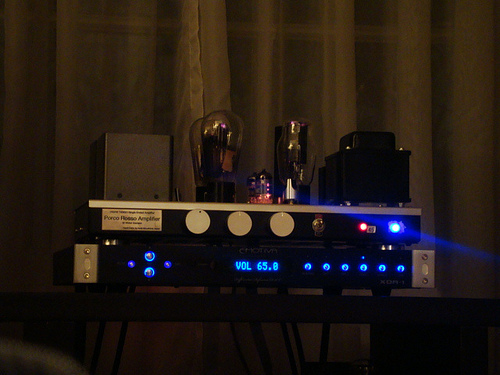 I prefer use low plate voltage as 2A3(RCA)condition. 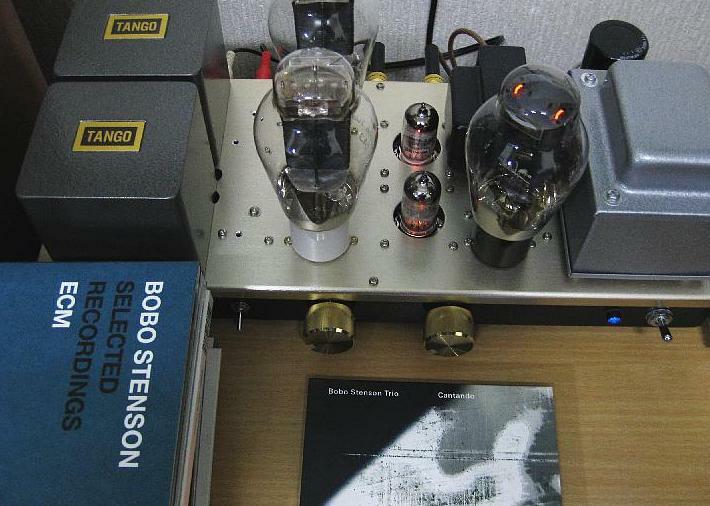 these tubes are not use for high voltages.305V plate voltages and 2.5K OHM get good sound. and I got good result with 6U8 .6U8 made good sounding with perche drive. 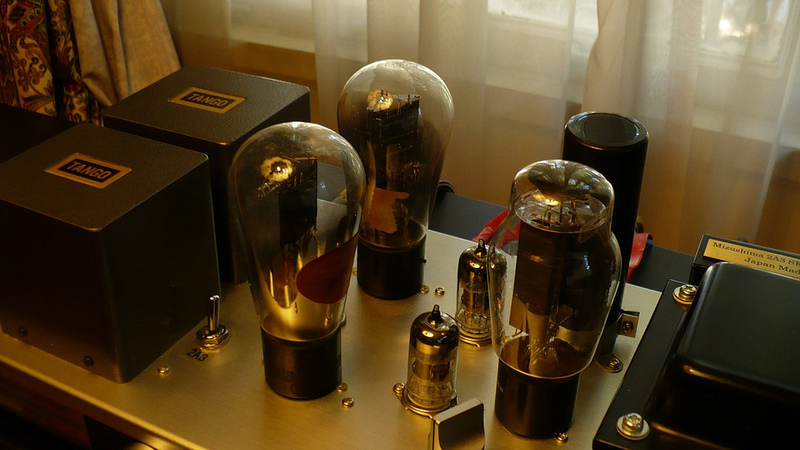 Tube-Amps.comcan get any good transformer. Spec: Power is 4.0 W rms max 4.8W rms by 2A3 and RCA 45 is 1.6W rms. 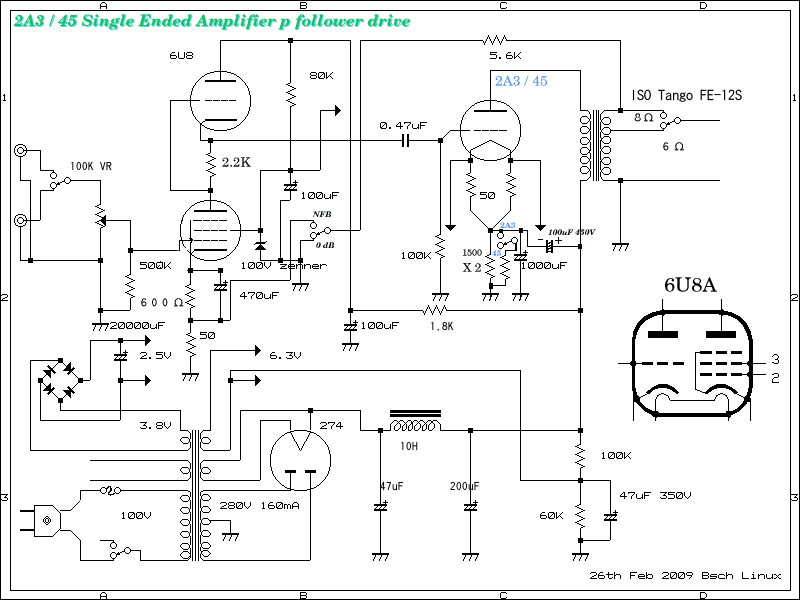 DF is 2.5 by -2dB NFB.sound is very clear and very powerfull with Sovtek 2A3. 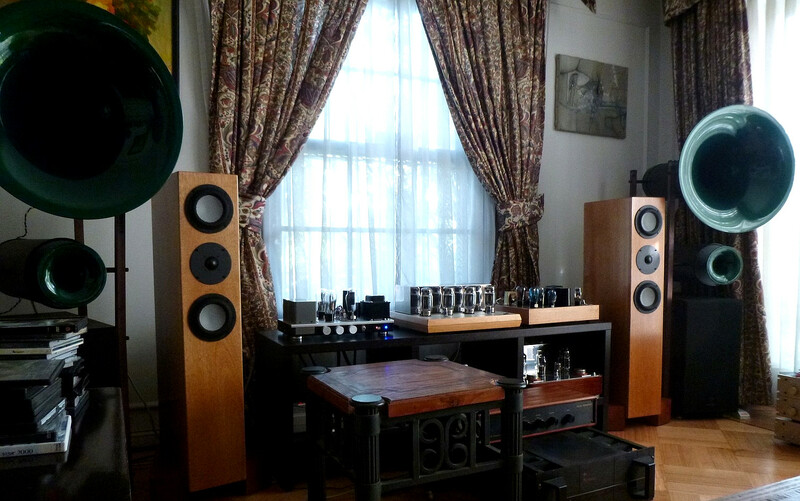 much better than 6BL8/ECF80 Family.very pure and clear sound getting. 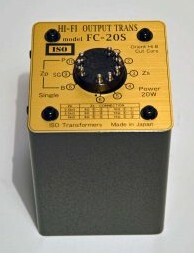 they have FC-20S instead of XE20S only name of transformer is different.and Name of company is no more TANGO. 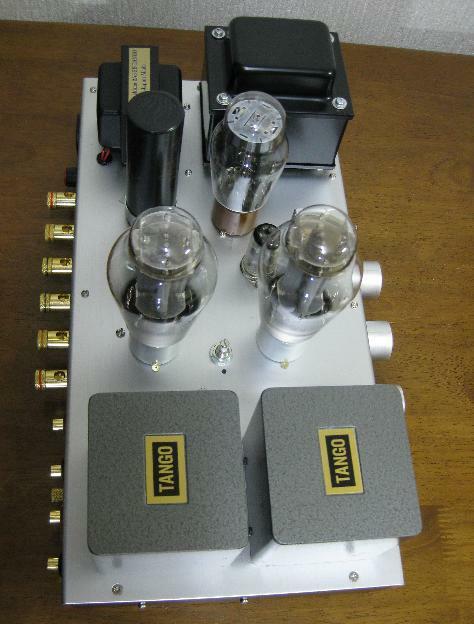 small Penthode Single Ended Amplifier.